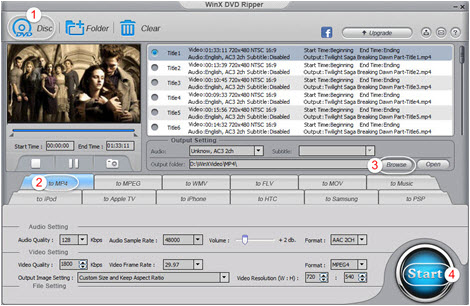 Best Free DVD Ripper Compressor for Win/Mac: 4 Steps to Rip and Compress DVD Movie to Hard Drive. Have you ever met such embarrassment that the ripped DVD movie video files occupy too much space of the computer/mobile/tablet and you have to delete one or more favorite movie videos? Eager for an efficient DVD ripper compressor program to rip and compress DVD movies to much smaller files to save space? Besides, many online websites like YouTube limit the video file size you can upload, in this case you'll also need to compress the DVD file and rip/convert DVD to the video formats they support. 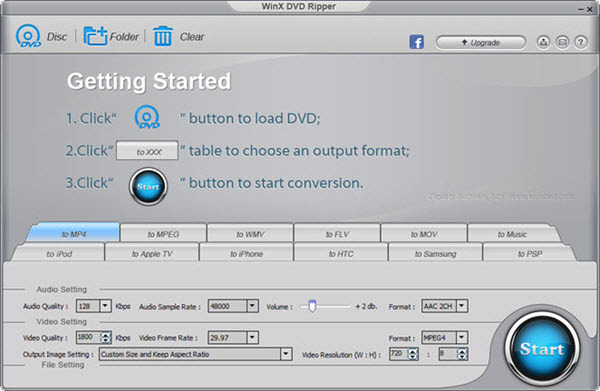 WinX DVD Ripper is top-recommended for users to rip DVD movie to hard drive with a downscaled size. People can use this 100% free and clean DVD ripper compressor to compress DVD disc/folder to MP4, WMV, MPEG, H.264, MOV, FLV, etc. with highest quality in a much reduced size. As well, this best free DVD ripper for Windows 10/8/7, etc. also supports ripping and compressing DVD movie to devices like iPhone, Apple TV, Android Samsung, HTC, PSP and more. Compressing copy-protected DVD to downsized video files is also accessible by supporting various DVD DRMs like CSS, UOP, RCE, region code and Sony ArccOS. Below is the detailed guide on how to use free WinX DVD Ripper to get a highly-compressed movie video file from DVD. 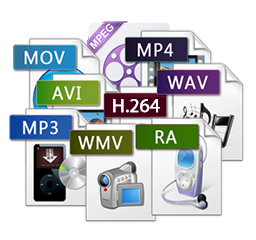 Easily free rip and compress (copy-protected) DVD with highest quality to MP4, WMV, MOV, FLV, MPEG, H.264, iPhone, Apple TV, Samsung, etc. on Windows 10/8/7, etc. Import the DVD disc to the DVD-ROM. After you successfully download and install this stellar free DVD ripper compressor on your PC (Windows 10 included), launch it. If you are using a Mac computer, you can download the best free DVD ripper and compressor for Mac. Then click "DVD Disc" icon on the main interface of the DVD ripper program, the imported DVD disc will be auto loaded and analyzed, and the right DVD movie title is already auto-detected. Only ripping the DVD movie main title is suggested if you want the ripped video file have a much smaller size. Tip: If you want to rip and compress Disney DVD, you need to download and install the upgraded version of WinX DVD Ripper. Know more about the upgraded version and its latest giveaway. This free DVD ripper and compressor provides you various output profiles for you to compress DVD file. 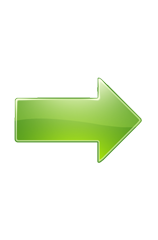 You can choose to rip and compress DVD movie to MP4, MPEG, WMV, MOV, FLV, etc. or directly convert DVD to iPhone Android and other device profiles for easier playback. Tip: Normally, users can select rip DVD to MP4 for the MP4 video file is greatly compressed and can be played on most devices and media players. Tip: As for compressing DVD/clips for uploading to YouTube and more, you can fist check best YouTube video sizes and dimensions for uploading. After all were settled down, you can click "Browse" to set an output folder to store the compressed DVD movie video, then hit "Start" to set off free ripping and compressing DVD to a condensed video file with the best free DVD ripper compressor. Use it to rip and compress any DVD (incl. Disney DVD) to almost any video format and 350+ device profiles as MP4, AVI, WMV, MOV, FLV, iPhone X/8/7/6S/6 Plus, iPad Air 2/3/Pro/Mini, Android Samsung Galaxy S8/Note 8, etc. at fastest speed. Also use it to 1:1 copy DVD to ISO image/folder/MPEG-2 file to hard drive with original quality.